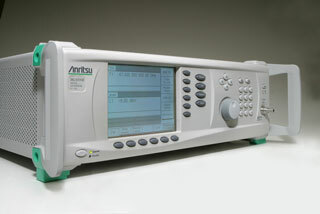 MG3694C Microwave Signal Generator, manufactured by Anritsu. The Anritsu MG3694C series of broadband signal generators covers audio, HF, VHF, UHF, RF and microwave frequencies from 0.1 Hz to 40 GHz in single coaxial output and up to 325 GHz or beyond, with external multipliers. The Anritsu MG3694C series is an ideal signal source for both RF and microwave requirements, fully configurable for simple to high performance applications. Standard, Ultra low phase noise (option 3) and Premium phase noise (option3X).along with full suite of modulation capabilities for signal simulations from simple to complex. This preserves full backward compatibility with the MG3690A/B and previous 68C/69B series of RF and microwave signal generators. Industry Best Broad Frequency Coverage, Phase Noise, Pulse Modulation. Fast Switching Speed, full analog modulation. This unit has high output power and is also configurable. The Anritsu MG3694C is in stock and available for sale.